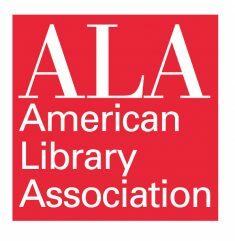 One of the most discussed topics this year at ALA was the relationship between e-books and libraries. According to Albanese, various meetings and sessions were dedicated to addressing “the challenges still plaguing libraries in delivering digital content.” It seems that while the role of e-books within traditional publishing has been thoroughly analyzed and measured, librarians are still coming to terms with the “technical challenges; licensing, accessibility, curation, and communication issues; and the need for more training, skills, and data collection,” of these digital items. The Andrew Carnegie Medal for Excellence in Fiction went to Rebecca Makkai for The Great Believers (Viking). The Andrew Carnegie Medal for Excellence in Nonfiction went to Kiese Laymon for Heavy: An American Memoir (Scribner). The John Newbery Medal went to Meg Medina for her YA novel Merci Suárez Changes Gears (Candlewick). Sophie Blackall won the 2019 Randolph Caldecott Medal for Hello Lighthouse (Little, Brown). Elizabeth Acevedo took home the 2019 Michael L. Printz Award for The Poet X (HarperTeen). Here’s hoping 2020’s ALA in Washington, DC, is just as successful.